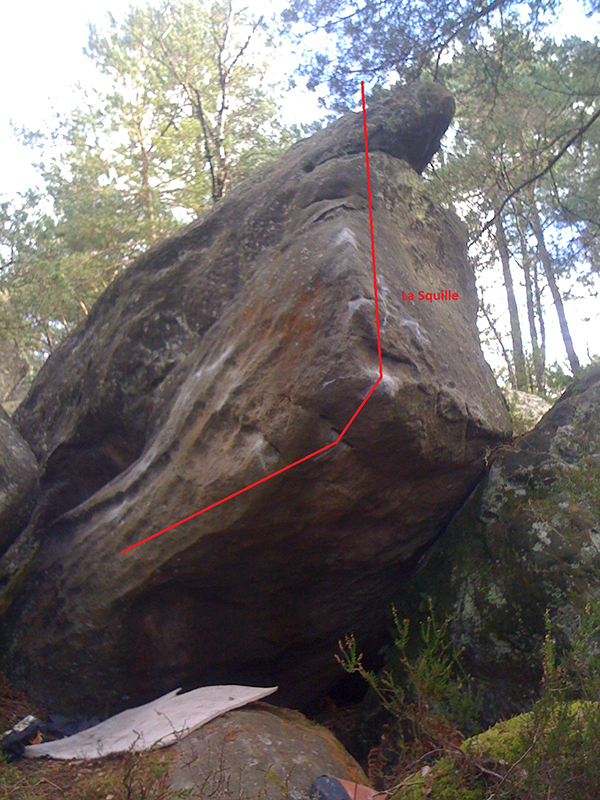 Sitstart (crouching start) with a sloper and exit right with a pocket and the arete left hand. 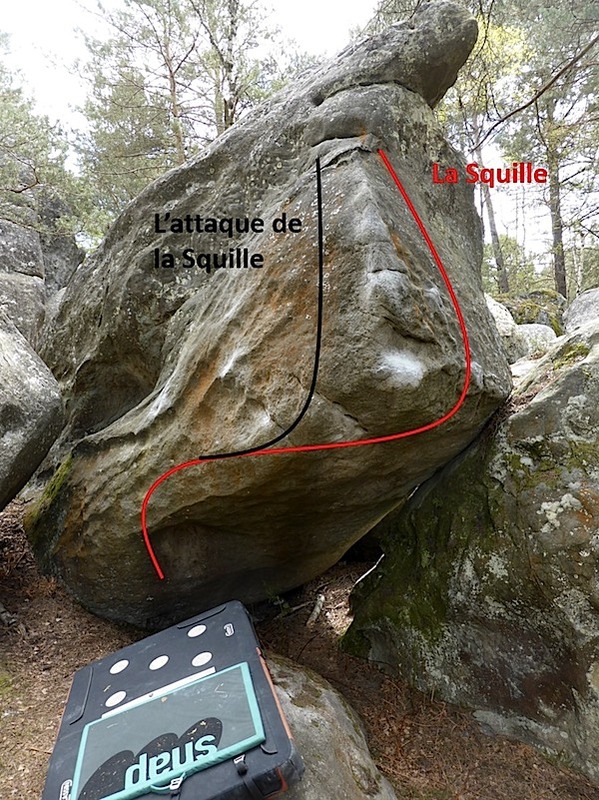 On the boulder to the right of yellow n°2. NB: this problem has been opened as a sitstart without crash-pad (7a+/7b for this version).